A workplace must be clean and tidy so employees and clients or customers can feel comfortable and at ease. A unkempt environment is not only unsightly, it’s less efficient and can become unhealthy! So, if you’d like to keep your workplace clean, choose Monarch Building Services today! We specialize in keeping any location clean. And yes, that includes small offices too! Whether a company employs 10 or 10,000 employees, cleanliness and organization is prudent for higher efficiency and success. Small offices, although smaller in size, may see more issues with cleanliness since the employee number is much smaller and the space is equally minute. Instead of having employees clean the office themselves, you should hire a professional team to do the job for you. This way, your employees can use their time more efficiently. The cleaning service can come in before the office opens or after it closes, too. The office will get cleaned and organized before any employees clock in for the day. What’s great in this scenario is the fact that an office-wide cleaning is only necessary once per week. 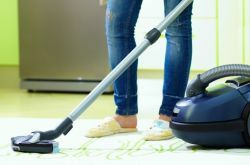 The cleaning service will vacuum, clean, and organize every surface. This includes the kitchen and restroom as well. At Monarch Building Services, we specialize in keeping our customers happy and satisfied. 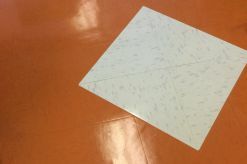 This means that we not only clean, we also make sure everything is organized and exactly how your employees left it. We understand how important an organized workplace is. It is our goal to keep your office clean. Our company is bonded and insured so you can feel safe and confident with our services. IWhat are you waiting for? 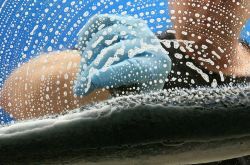 Now is the time to get into the routine of keeping clean. Small offices in the Southwest benefit greatly from regular cleanings. By getting rid of dust and grime, the office will be a more pleasant place in which to work. On top of that, productivity will increase because an organized, clean office allows for employees to focus on what matters the most, instead of wasting time cleaning their desks or the kitchen. If you’re ready to see the benefits that come from keeping your small office clean, contact Monarch Building Services today!